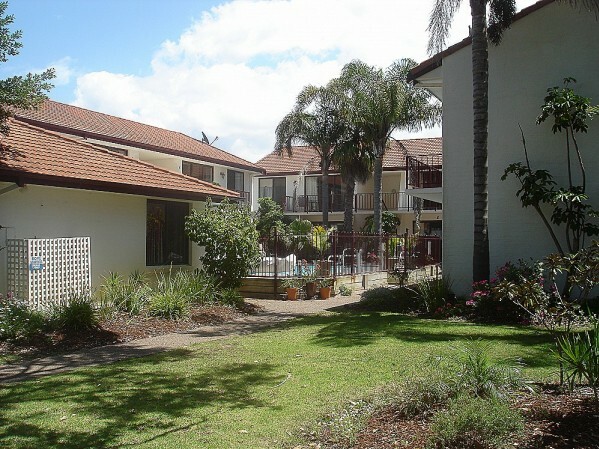 The Peninsular is a family friendly complex situated in a tranquil setting in the Fishpen area of Merimbula. The complex is also a haven for golfers and bowlers or for those just escaping the southern winters. It is only a two minute walk to the surf beach, five minutes to the sheltered beach on the shores of the lake and a fifteen minute walk to the main shopping area. There is a large BBQ and playground area. The fully self contained units have two bedrooms, one with a queen bed and 2 single bed in the other. A fold up bed is also available for a young child. There is a separate laundry in each unit.